Well... we know this time of year can be exhausting and yet you still need great resources to keep your students engaged in learning and so I am very excited to share this amazing opportunity for you to stock up with Educents! Over 1400 pages of activities for literacy, math, and even a little social studies!
. From my store you will get my Number Fun 1-10 unit AND my Number 11-20 practice pages unit! 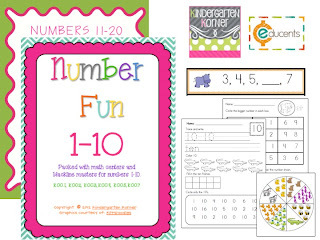 I know you will love it because it is perfect for introducing and practicing numbers 1-20. Both meet many of the Common Core Math standards and the students love the activities in math centers. But that's just one product. With this bundle you get 24 products from some other amazing sellers as well! So we have linked up blog hop style for you to see what's included in this great bundle from Educents! So hop on to the next blog to see what else is included! 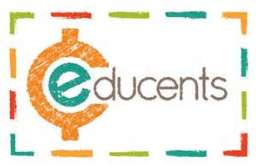 If you love what you see as much as I do, go ahead and head on over to Educents to stock up!